I don't know about you, but I am really looking forward to being able to spend more time outdoors with my family, Spring is by far one of the best seasons. 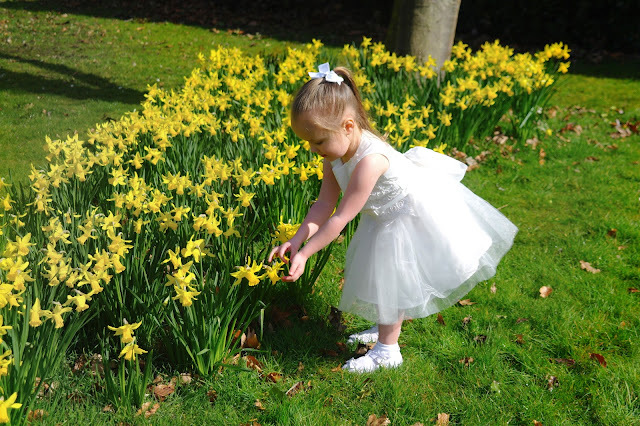 I love seeing the blue skies, the sun shining and the pretty flowers and blossom trees blooming, and it's the perfect time for a family baptism. 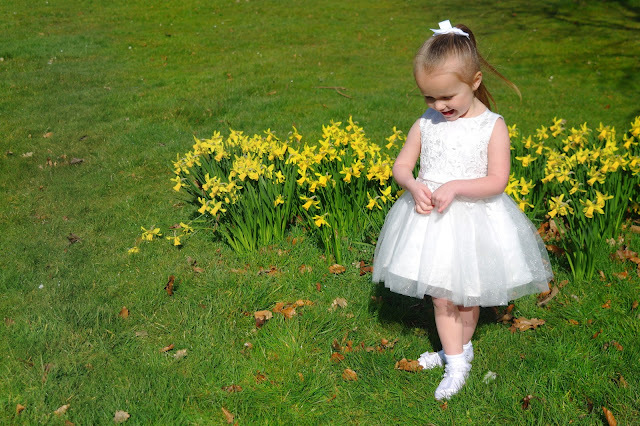 You may have seen those photographs of my daughter in the daffodils and her gorgeous dress. On Sunday 25th March we all headed to the church for the baptism of my Niece Lily-Grace, Nephew Alex and my Sister Sarah-Jayne, a big family celebration. I have always thought that there was something so apt about a joint baptism, it's such a lovely shared memory to look back on. Both my husband and I were very proud and lucky to be asked to be Godparents to both children. If I am honest it's such a privileged being asked and they slot nicely into our ever growing collection of Godchildren. The service was beautiful and The Reverend Julie Boyd did a fantastic job when it came to involving all the children in the meaning of a Baptism, it was a great way to keep their attention that's for sure. 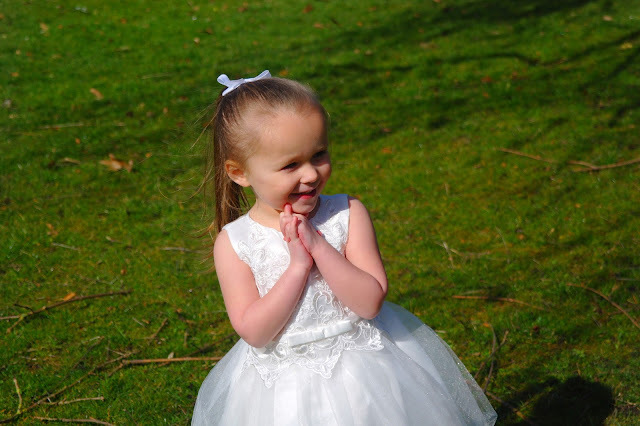 We also got our daughter baptised by The Reverend Julie Boyd two years ago, there the congregation was far bigger. So it was quite refreshing to see the service with a smaller crowd, it somehow felt more personal. Along with the two children, my sister was also being baptised. 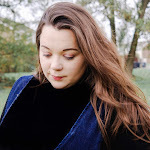 It has been something that my sister has wanted to do for many years and seeing as she is getting married next year it made complete sense for her to join her two children. However, instead of Godparents she had sponsors and she chose my Uncle and Aunt. After the church service it was time for a run around in the church gardens before going back home to celebrate the family baptism. We enjoyed tea, cake and a glass of wine and headed home.